AngelBurn were formed at the beginning of 2010, in Wales. After a few practices under no name at all, no drummer and with a different vocalist, mid March saw a great change. Original members Chris Leyson (guitar), Gareth Jones (Guitar) and Laura Davies (Bass) found a great drummer in Robbie Leyshon and a replacement vocalist in Klee Edwards. 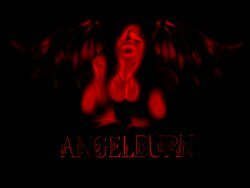 Along with the changes came a name for the band too, and AngelBurn were offiicially born. The main influences in the music come from anything we listen to, and we listen to just about anything. Each song is different, but still with a metal/heavy rock base, some include some jazz, others some reggae and it goes on for each song we write.